This morning in Nanping, China, former doctor Zheng Minsheng was shot to death for a headline-grabbing knife attack on schoolchildren just five weeks ago. In a brazen attack as efficient as it was unanticipated, Zheng knifed 13 kids at Nanping City Experimental Elementary School on March 23. Eight of them died. 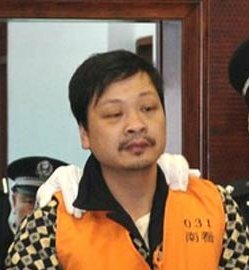 “The methods used by the defendant Zheng Minsheng were extremely savage, the circumstances of the crime were particularly evil,” the Fujian Province high court said in rejecting his appeal. The apparent motivation? Being jilted by his girlfriend. That’s not the sort of trigger calculated to impress Chinese courts that have little sympathy for mental illness claims. Deterrent effect? Has the threat of jail time ever deterred a career criminal? Or someone who thinks they’re clever enough to “get away with it”? Or organized crime? Given the speed and certainty of a death sentence in China -and the common knowledge of those facts- I’d say deterrence is a moot point; it’s about power, control, punishment.